If there’s is one thing Brew Pipeline knows about craft brewers, it’s that passion fuels their business. From developing an initial concept, to selecting and sourcing the very best ingredients, creating a new brand is no small task. On top of developing the next best beer in America, craft brewers face several challenges in reinvesting in their business and regulations when distributing their product. Such restrictions limit the footprint of each brand a craft brewery develops, keeping the new brands within a small radius, whether confined to just their home state or, best case scenario, moving to bordering states. As the craft beer market continues to grow, special events like the U.S. Beer Championships, new consumer-driven review sites like Beer Advocate, and the emergence of home brewing in the last five years have pushed consumer expectations to the next level. 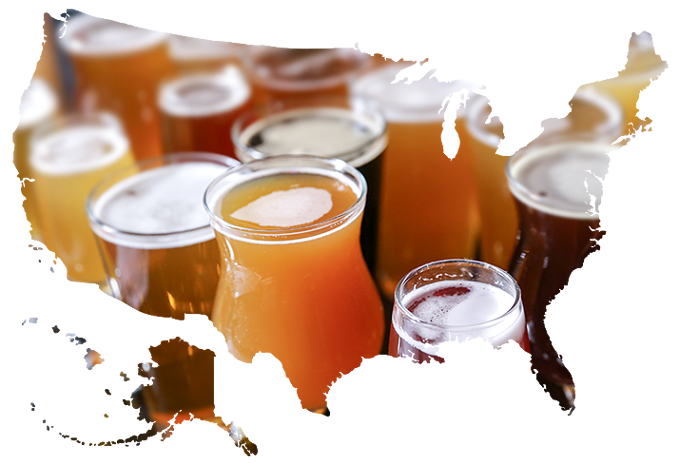 Beer drinkers want high-quality beer and a diverse selection to choose from. To help meet consumers’ growing demand, join Brew Pipeline’s flagship program: Guest Brewer. Through our flagship program, Guest Brewer,we have the right people at all points of distribution to ensure that craft brewers can push their brands to new markets across the country. We have created a list of the Top 100 Markets that offer the most potential for beer sales across the country. Our distributors, representing each market, have deep connections to both independent and chain retailers in these areas, offering diverse sale outlets for all styles of beer. Our Guest Brewer program is just one of many programs to come from Brew Pipeline. We’re working with industry experts to develop programs that help craft brewers with every step of their business.. If you are interested in joining our Guest Brewer program or would like to be the first to know when we roll out new programs, join our email list for updates! Contact Brew Pipeline to get your award-winning brew out to the rest of the country!